Many sewing projects require a wide fabric that is not accessible at every fabric store. This fabric is typically known as extra wide fabric, pretty simple to remember. When you can’t find this fabric in any of your local stores your only option used to be to use seams to join pieces of fabric to have a wide enough piece. This often meant buying more fabric than you needed to match prints on the fabric. If you could find a wide enough fabric, you usually had to settle on an extra wide fabric that is not exactly what you had in mind. There is a money saving alternative to buying extra wide fabric of course. You could always use a bed sheet when you need extra wide fabric. It’s a simple craft as well. But if you prefer buying properly sized fabric to create your own, many online stores can save the day. All of the sites listed here carry extra wide fabric in a variety of colors and patterns. Many carry home decorating fabric for curtains, drapes, bedding such as duvet covers and quilting your fabric. 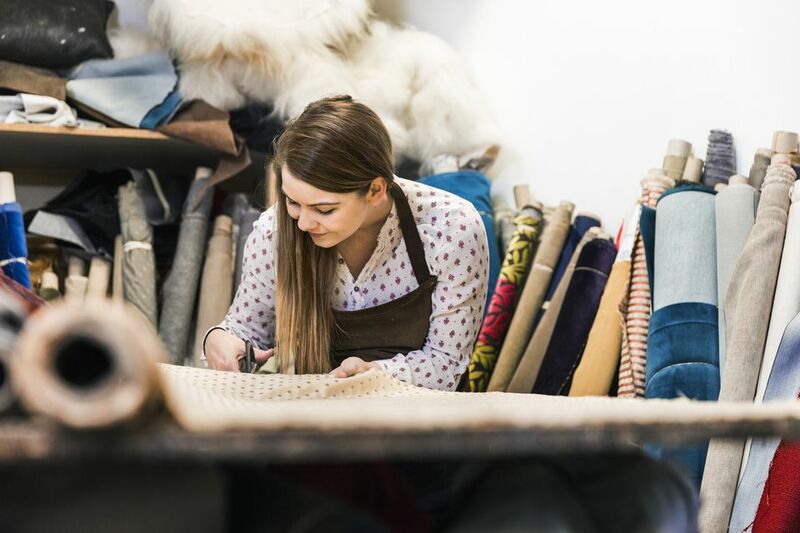 Joann Fabric and Crafts is a popular brick and mortar but if you don’t live near one or yours doesn’t carry what you need the online store is here to help. The store carries flannel that is 90" wide by 20 yards in assorted neutral colors. They also have a 100% Cotton Unbleached Muslin 120"W and Roc-Lon 100% Cotton Bleached Muslin 90"W. They offer lots of coupons as well. They carry many drapery and home decorating fabrics, but you will have to look at the description in the fabrics to find the width, which you should always check before ordering any fabric. A fantastic collection of extra wide fabric for almost any home decorating need. These fabrics would make great table linens since no one wants a seam down the center of a tablecloth. So many fabrics and so many things you could sew. Warehouse Fabrics Inc. offers a fantastic variety of colors for extra wide sheeting and muslin fabrics, available in widths from 90" to 108" seamless projects. This quilting fabric store offers a great variety of extra wide fabric in quilt backing weights that could be used for many other home decorating projects. A wide selection of drapery fabric, flannel fabric, percale fabric and tablecloth fabric are featured at Inweave Fabric. The photos of the fabrics include a crayon which you would be familiar with to recognize and compare the colors offered in the fabric.